By buying this product you can collect up to 190 loyalty points. Freshly cracked uni, or sea urchin, goes through the cleaning process only to be returned to salt water (Ensui). This salt water is the same salt content as the ocean water. In doing this, we retain the most natural taste of uni. Without using any preservatives or hardening agents, this product is purely natural. The taste would be the same as if you were to crack uni by the shore and eat it right there and then. The sweetness of the uni will melt away in your mouth. *When ready to eat, strain the water from the sea urchin using a strainer. Be careful to handle with care as the uni is very delicate. We do not recommend rinsing with tap water. Once the salt water is strained off, (about a couple of minutes) the uni is ready to eat. 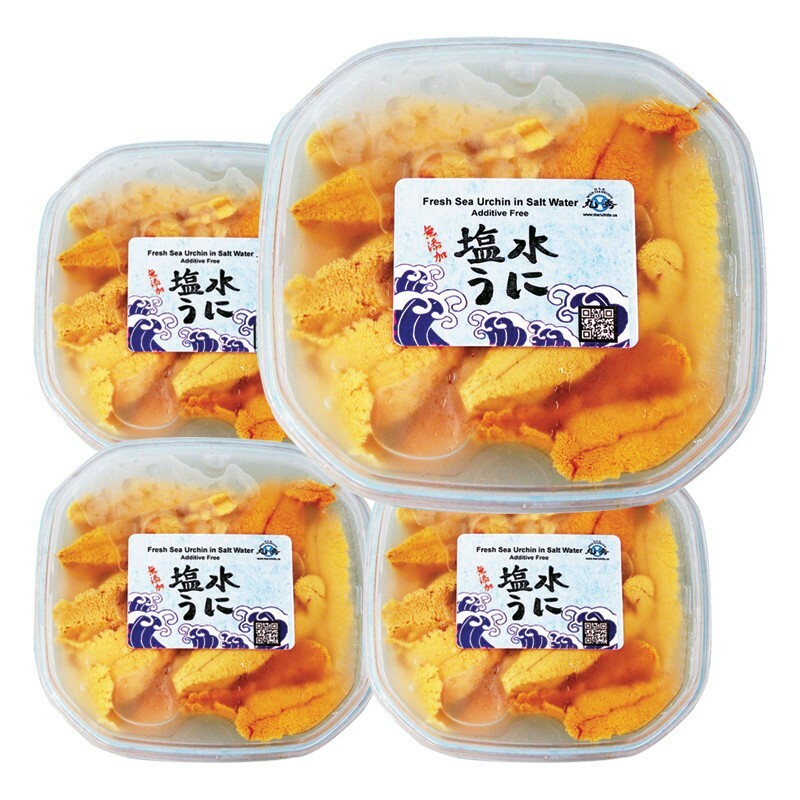 *Fresh Uni in Salt Water should be stored at an ideal temperature of 33F - 35F. If possible to store in an ice bath, please do so accordingly. Otherwise, place in the coldest area of the refrigerator. *Products are shipped with iced gel packs to keep fresh. 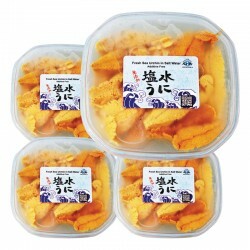 *Shipment and delivery of raw uni (sea urchin) are subject to change depending on weather and harvesting conditions. Specific delivery dates cannot be guaranteed. *This product is shipped directly from U.S.A. to the recipient. For custom purposes, the recipient's full name and phone number is required.